AMD has quietly added two new APUs into its lineup of products. 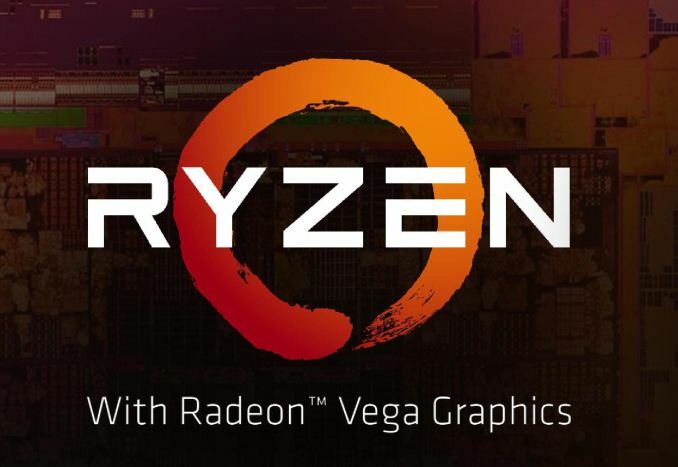 Based on AMD's existing Raven Ridge silicon, the new Ryzen 7 2800H and Ryzen 5 2600H chips with integrated Radeon graphics consume up to 45 W and are aimed at high-performance laptops. AMD’s Ryzen 5 2600H and Ryzen 7 2800H APUs pack four Zen cores with SMT enable, and run at 3.2 and 3.3 GHz base frequency (respectively). Meanwhile graphics is provided by the integrated Radeon RX Vega 8 or Vega 11 iGPU. The new APUs clock their general-purpose cores significantly higher (1 GHz+) when compared to AMD’s lower-power Ryzen 5 2500U and Ryzen 7 2700U APUs that were introduced last year, but at the cost of a 3x higher TDP. Meanwhile, the new chips feature exactly the same integrated graphics, featuring 512 or 704 stream processors and clocked at 1.1 GHz and 1.3 GHz. AMD’s latest H-series APUs use with a 45 W default TDP can be configured down or up to support 35 W or 54 W TDPs, giving AMD's customers a range of options for balancing performance with energy efficiency. As for form-factors, the Ryzen 5 2600H and Ryzen 7 2800H chips use the FP5 packaging, the same as used by other mobile processors from AMD. One thing to keep in mind is that since the new APUs are considerably more power hungry than their U-series counterparts, laptop makers will still have to install them into an appropriate chassis. AMD has not issued any press releases on the matter, but simply added the new APUs into its list of its products. Therefore, we do not have any official information concerning pricing and availability of new processors at hand. In the meantime, we do know that Lenovo has listed AMD’s H-series mobile APUs already, so expect the company to offer laptops powered by such processors in the coming months. There's probably no 2800X being planned - although I guess yet another special bin could potentially exist but this is probably the specially binned chip for laptops. Oh, wait, you're referring to a special binned 8/16 version of the r7 2800X, not these 4/8 with vegas. Don't forget that it has to be single channel for AMD APUs! I've actually seen quite a few Ryzen Mobile laptops running in dual channel, at halfway decent speeds. The situation is certainly much better than it was pre-Ryzen.